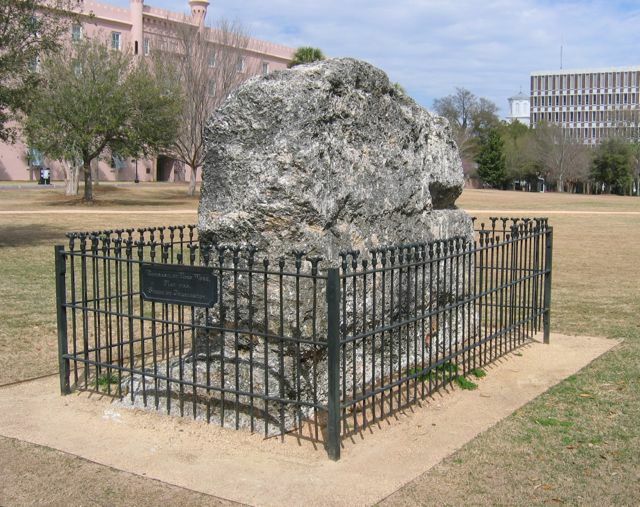 One of the most common questions that I’m asked at “Walled City” events is “where can I see part of the fortifications that once surrounded Charleston?” Almost equally as common is the question “what’s the story behind that mound of oyster shells standing in Marion Square?” In an attempt to answer both of these questions at one time, I’m offering a program later this month titled “The Horn Work: Charleston’s Tabby Fortress, 1759-1784.” The program will be presented at the Charleston County Public Library on Monday, April 28th at 6:00 p.m., and it’s free and open to the public. 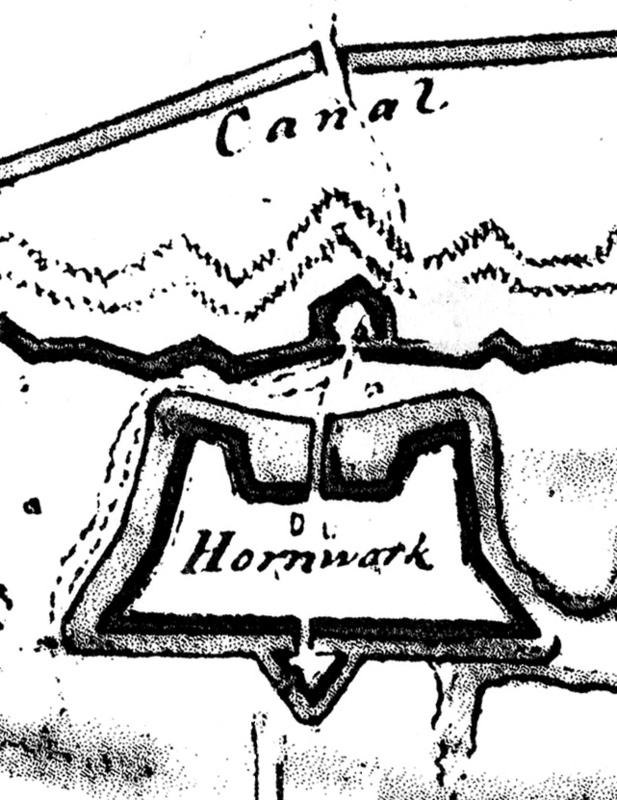 We’ll take a look at some historic illustrations of the old Horn Work (including the 1781 map shown above), and try to understand the lone remnant standing in Marion Square as a small part of what was once a large fortress mounting eighteen cannon and surrounded by a moat thirty feet wide. How did the “Horn Work” get its name, and when was it built? When was it demolished, and why does one small piece survive above ground? Has anyone ever searched below ground to find further evidence of its walls? For the answers to these questions, plus many more fascinating details and images, please join the Mayor’s Walled City Task Force at the Charleston County Public Library on the 28th. For more details and a printable flyer (a PDF file), please see our Upcoming Events page. I hope to see you there!